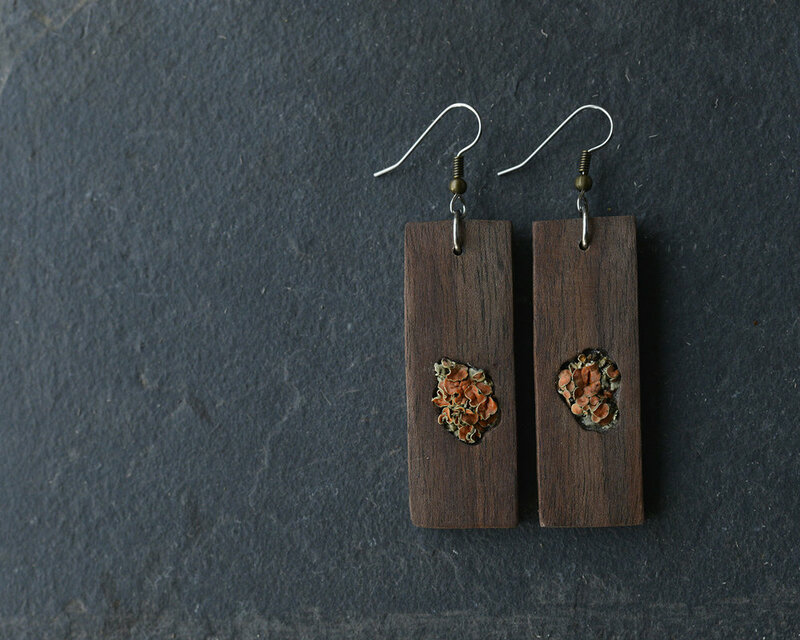 I create one-of-a-kind jewelry by uniting locally gathered natural materials - namely driftwood, lichen and antler - into distinct statement pieces. My designs showcase the finer details of each material to create cohesive pieces that celebrate raw natural beauty. Each piece is accompanied by a specimen card that details the natural histories and origins of the materials used in an effort to deepen one's connection to place. juxtaposing materials possessing their own, divergent stories to create a piece with a single, unified future. I believe observing the natural world - and lichen in particular - gives important insight into healthy, reciprocal living; I thus intend that the wearers of my work contemplate the meaning of time and how it dictates our relationship with the land.